Take your scissors, your glue, stamps, photos, and sentences you cutted out from books or newspapers – take your own colors and, your personal way of use them – mix it all and roll it as dice on your table, breathe, stop making sense of your thinking – just put together what your fingers catch, and “glue” them on paper, canvas or a what ever you want. Here it is not important to be better or to express yourself, to win or to loose, this play is a mental jogging, the result may appear abstract, absurd or obscure. Let your Color Cut-up rest for a day or for a year. Later go back and look at it. Sometimes it will tell you about You more than the best friends you have. That’s all. A natural faith in your instinctual knowledge. 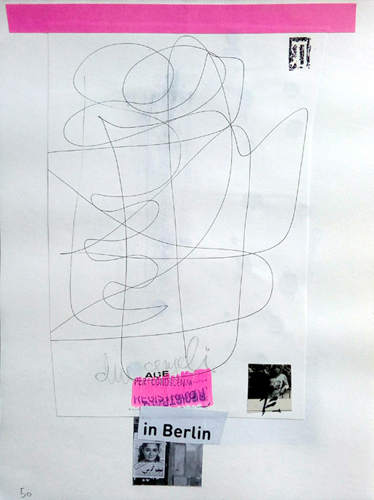 Cut-up n. 37-a. 2017. 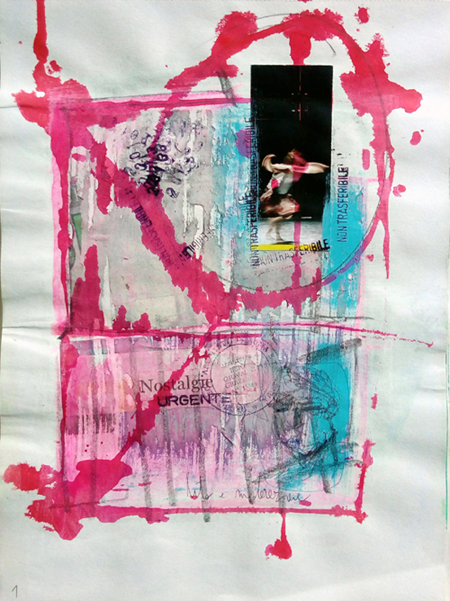 Ink, acryl and collage on paper. 28 x 21 cm. 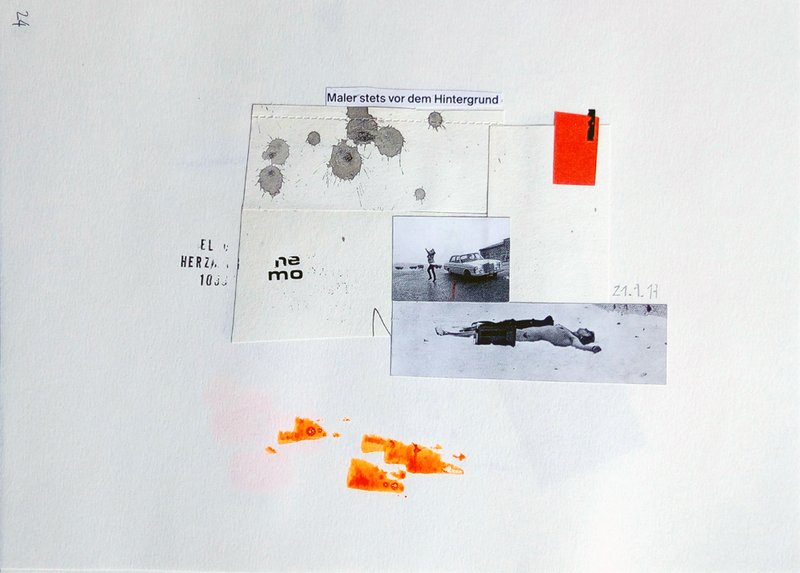 Cut-up n. 45-a. 2017. 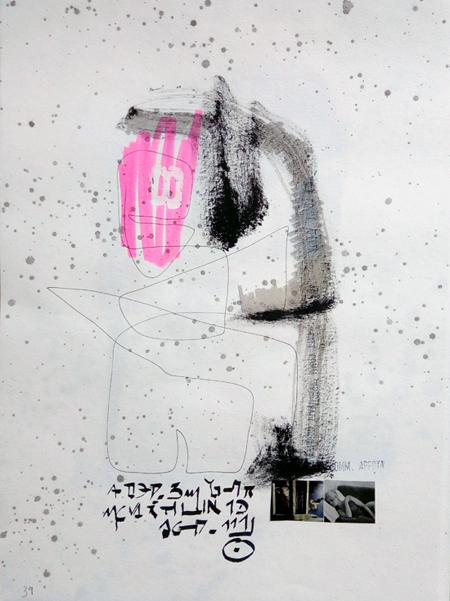 Ink, acryl and collage on paper. 28 x 21 cm. 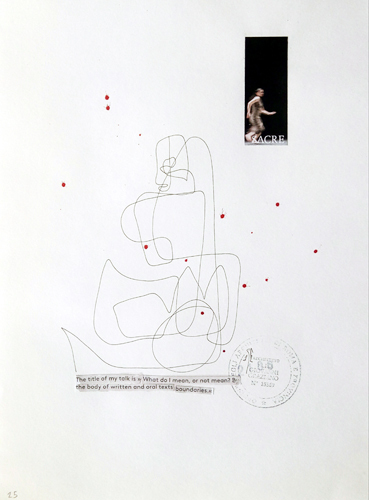 Cut-up n. 39-a. 2017. Ink, acryl and collage on paper. 28 x 21 cm. 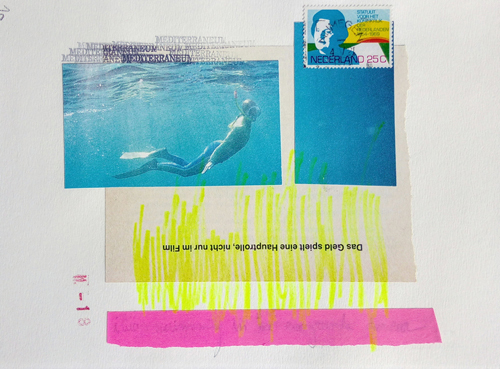 Cut-up n. 20-a. 2016. 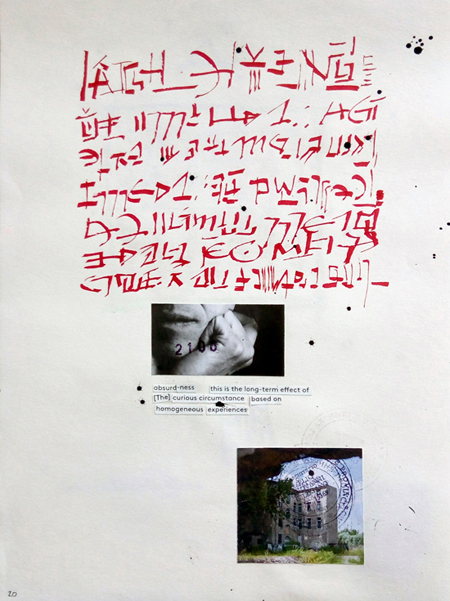 Ink and collage on paper. 28 x 21 cm. SACRE. 2016. Ink and collage on paper. 28 x 21 cm. 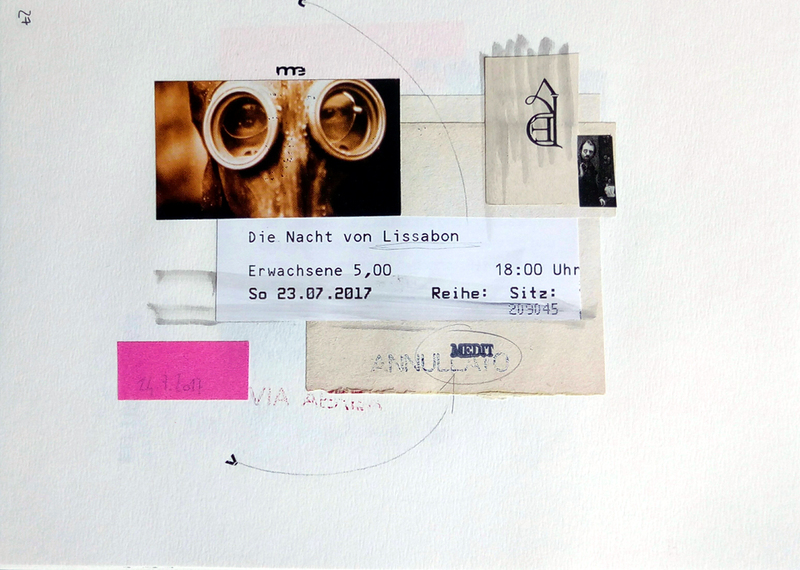 Cut-up n. 31-a. 2016. 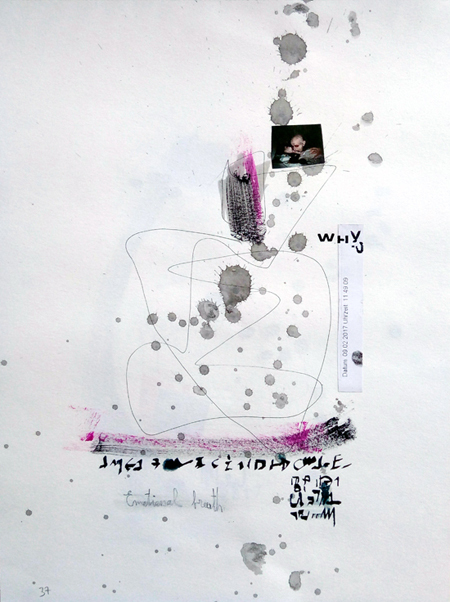 Ink, acryl and collage on paper. 28 x 21 cm. due angeli. 2016. 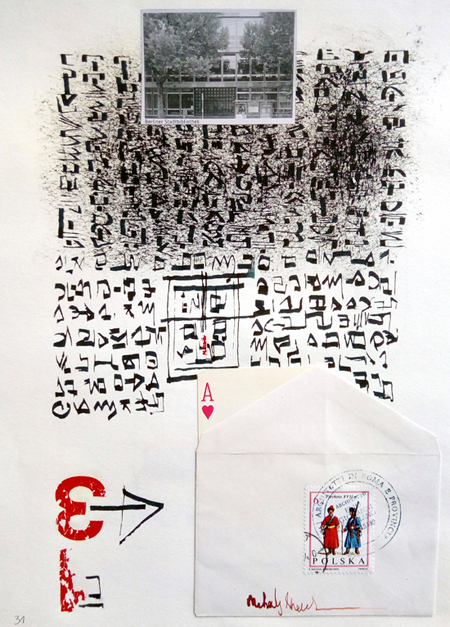 Ink, marker pen, letter transfers, collage on paper. 28 x 21 cm. 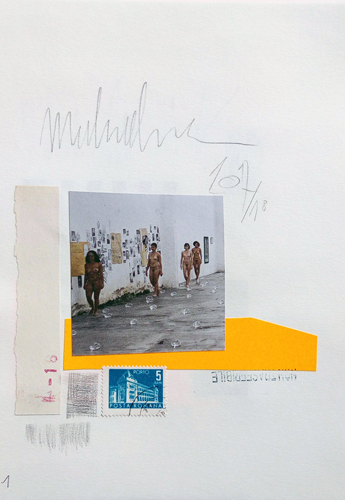 Cut-up n. 1-a. 2016. 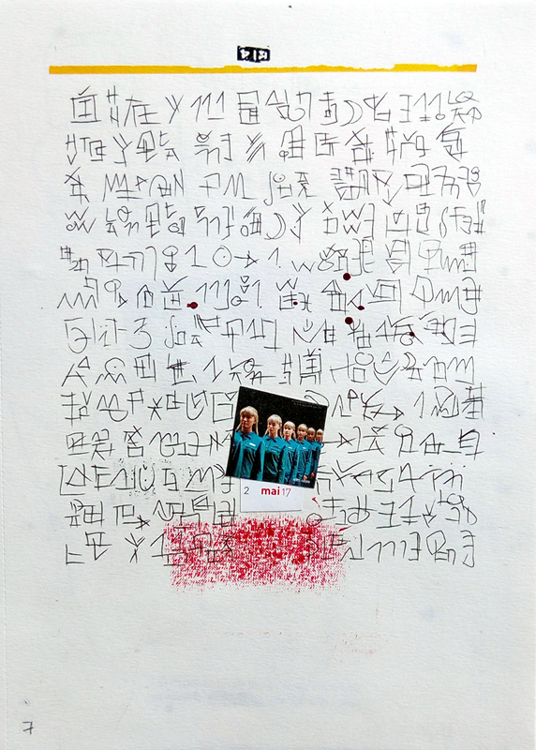 Ink, pencil, acryl and collage on paper. 28 x 21 cm. Cut-up n. 1s/2018. 2018 Ink, graphite and collage on paper. 21 x 14,5 cm. Cut-up n. 15s/2018. 2018 Ink, marker pen and collage on paper. 14,5 x 21 cm. Cut-up n. 27s/2018. 2018 Ink, marker pen, letter transfers, collage on paper. 14,5 x 21 cm. Cut-up n. 24s/2018. 2018 Ink, marker pen, letter transfers, collage on paper. 14,5 x 21 cm. Cut-up n. 7s/2018. 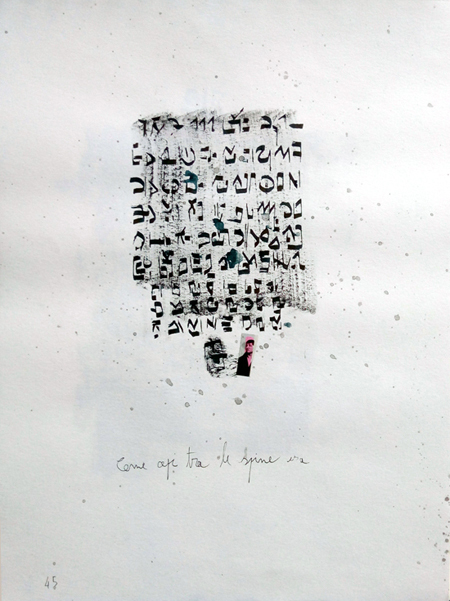 2018 Ink, letter transfers and collage on paper. 21 x 14,5 cm. Immote 2012. 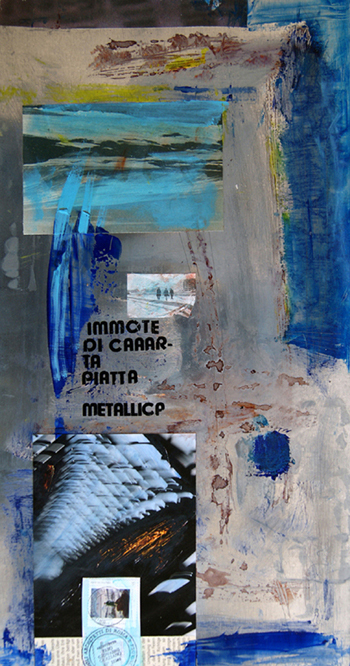 Ink, acryl, letter transfers and collage on metal. 50 x 25 cm.